Before I show you todays final reclaimed wood project for the week I wanted to tell you how excited I am to be a part of a fall home tour, which starts Monday. And now, for todays project. I used a combination of free pallet wood and scaffolding wood. There is no directions for this because I literally just went for it with no plan. This could easily be hung on a wall, but I am using it as a decorative fireplace screen for now. It's about 3' x 4' and I love, love, love it. Thanks for following along! I will be back next week with our fall home tour and a lot of fall projects! 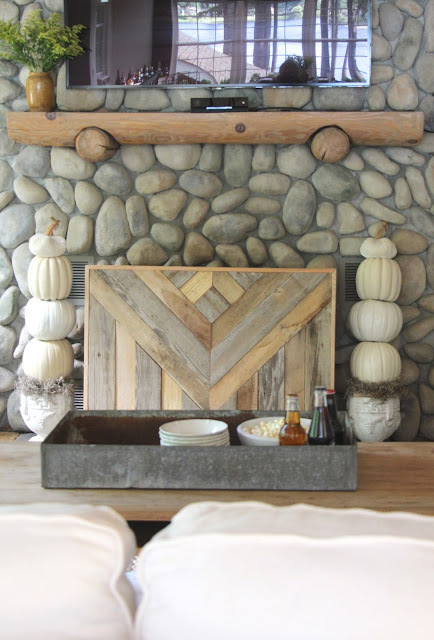 Melanie, your wooden fireplace screen is beautiful and looks just perfect! I can't wait for the Fall Tour! Love that! Everything in your home looks beautiful. Can't wait for Fall.Soo hot here. This is one of the most beautiful projects I've ever seen! 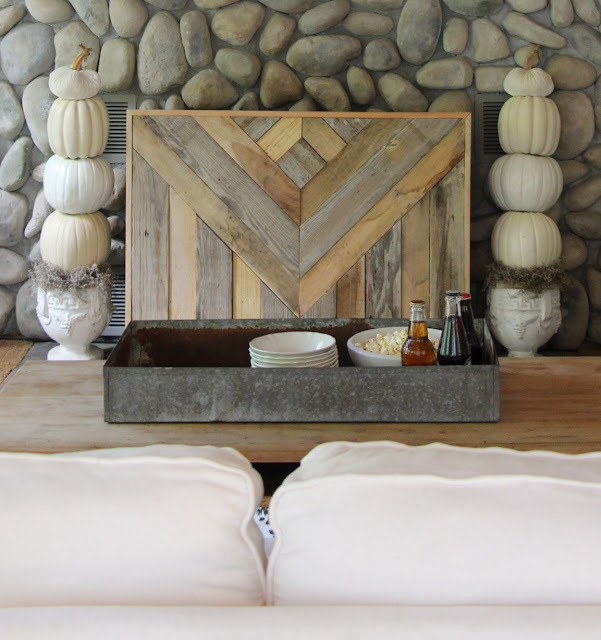 This decorative wood just makes everything seems so PERFECT! 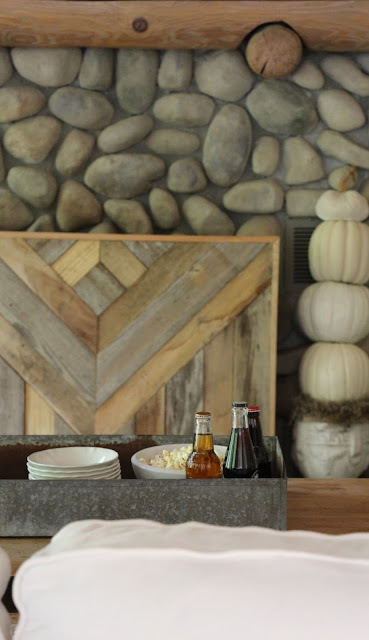 I love that fire screen, I could also see hanging it on the wall as art its so beautiful! 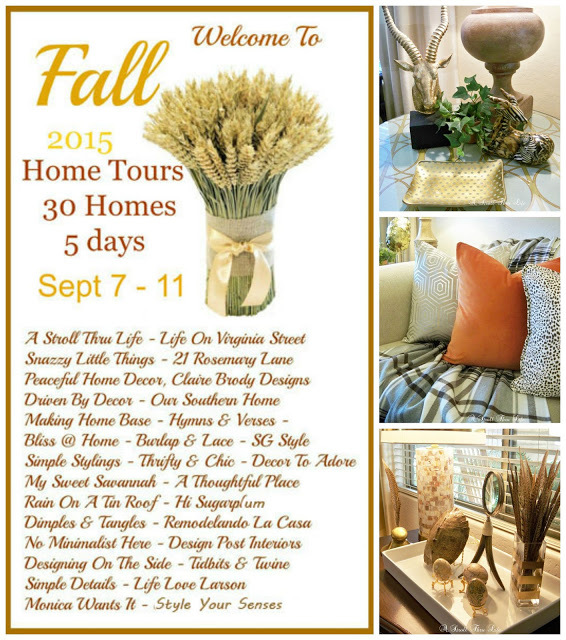 I look forward to the Fall Home Tour!